You’ve heard you’ve got to be generating consistent, quality content to maintain a social media presence. Instagram posts, live videos, blog posts, newsletters, maybe even a podcast…everywhere you go, experts are telling you that you need to do. it. all. But what do you actually talk about? How do you get over the fear of putting yourself out there? And most importantly...how do you find the time to do it all? In this hands-on workshop, you’ll walk away with a system you can use within your health, fitness, or wellness business that will help you generate consistent, high-quality content to build your brand and your impact. By the end of our time together, you’ll walk away with an entire month’s worth of content planned. Please bring your laptop or a notebook, as this will be an interactive workshop. Along with receiving to-the-point information, you’ll have the opportunity to work on your own or in small groups to get your content plan created. Doors open at 7:30 and the event starts at 8pm. Are you curious about how cannabis fits into your clients’ healthy, active lifestyles? Cannabis is a hot topic these days, with many wellness experts touting the positive impact it can have on a person’s health. 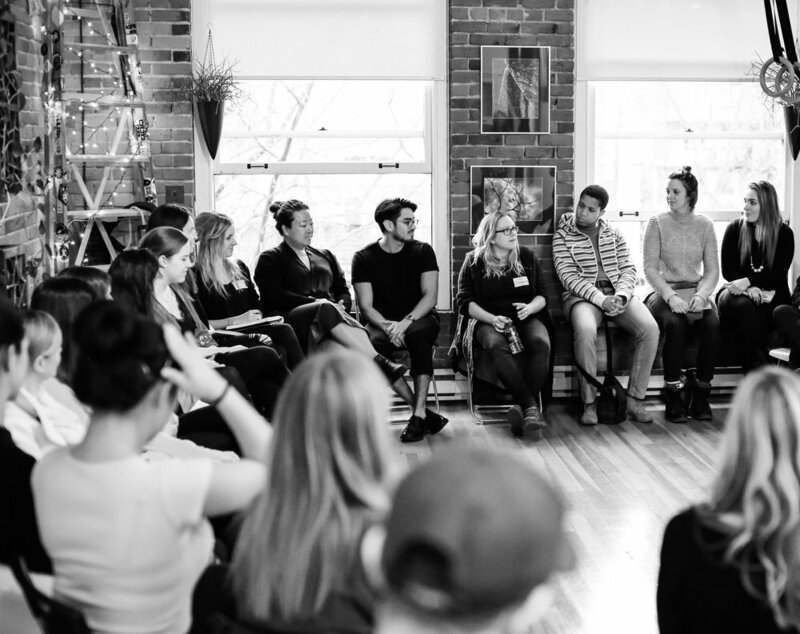 As health, fitness, and wellness professionals, it’s crucial we understand how cannabis impacts the body so we can have effective, informative discussions with our clients in the event the topic comes up. Many of our clients who consume cannabis also face the stigma surrounding it. The more we can educate ourselves about cannabis, its uses, and its benefits, the more comfortable we can help our cannabis-consuming clients become as they work towards their definition of health. How cannabis impacts the body and works with our endocannabinoid system. How cannabis can be consumed without getting you high. The therapeutic properties of cannabis. Cannabis for fitness: pre, post, and during. There will also be time for a Q&A at the end of Bethany’s presentation. Doors open at 7:30pm and the event starts at 8:00pm. What do businesses like Soul Cycle, lululemon and Saje have in common? They all have impactful, recognizable brands that stir up thoughts, memories, and emotions every time you think of them. But you don’t have to have multi-million dollar global business in order to build an impactful brand. Branding can seem overwhelming at times, which is why we have invited Ella Jotie, the founder of Barre Fitness, to teach us how she created a well-established from the ground up. Ella will also give us the backstory on how she started Barre Fitness and grew it into a successful franchise. With over 20 years of professional experience in the entertainment, health and fitness industry, Ella has combined her expertise as principal dancer, choreographer and fitness instructor to spearhead the development of Barre Fitness. Ella spent many years performing for audiences worldwide and has had the opportunity of working with many of the entertainment industries best including: ABC, Disney, MTV, Nickelodeon, NBC, the NBA and alongside choreographers of such artists as Madonna and Janet Jackson. A long-time fitness enthusiast, Ella carries certifications in Personal Training, Group Fitness, Pilates, as well as Fitness Through Cycling. She is also a certified Pre & Postnatal Fitness Specialist. Ella takes pride in developing programs specific to her client’s needs, and is continually promoting a healthy balanced lifestyle, while still having FUN! 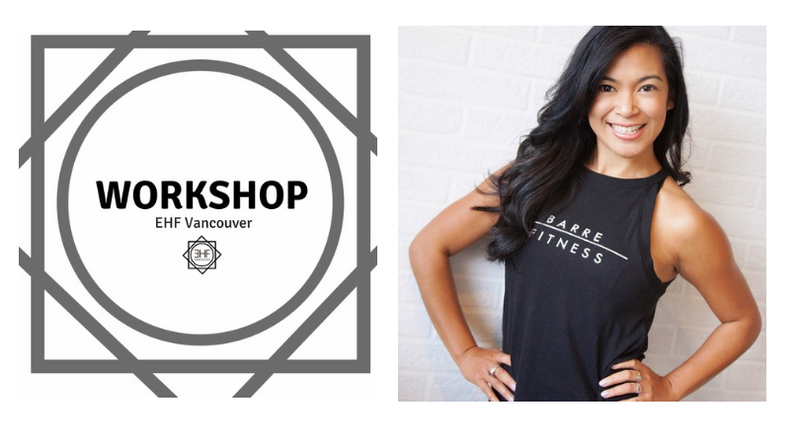 A native of Vancouver, BC, Ella combined her passion, creativity and love for both dance and fitness to lead a specialized group of individuals through an extensive training regimen of barre- based exercises, the result of which is the Barre Fitness technique. Would you like to earn additional income promoting brands and businesses you love while staying true to your values and keeping it real with your audience? You've probably seen influencers all over your Instagram feed getting paid to travel the world and promote the latest products, supplements, and services. You may have wondered how they do it—how do they grow their followings to such a large number? How do they approach the brands they want to work with? And how do they promote others' businesses without annoying their audience? If so, you'll want to hear Alicia Haque of Go Live Explore share how she earns a living working as a full-time blogger and social media influencer. Alicia is a lifestyle & travel content creator and founder of Go Live Explore, a destination for stylish adventure. She is a British expat and moved to Vancouver 3 years ago where she has established her brand and online community. She shares everything from travel guides to style tips, to fitness motivation and lifestyle content on her blog, youtube and social media channels, with an aim to inspire, empower and educate her audience around the world. Doors open at 6pm and the event starts at 6:30pm. Do you feel like you are listening to all the experts and not getting the results you are looking for? As wellness entrepreneurs, we are very much aware that our emotional, mental and spiritual states reflect our business. But with the overwhelming amount of information out there we sometimes forget that our inner intelligence can be our best guidance system. For that reason, we’ve invited Chloe Elgar of Chloe’s Countertop to share how working with your intuition can transform your business and increase the joy and abundance it brings you. You will also have two mini-workshops, as well as Chloe will channel messages for the group and might offer some individual messages from spirit if they show up. Chloe Elgar is an Intuitive Healer, Psychic, Holistic Nutritionist, Author & Speaker and the founder of Chloe‘s Countertop, a platform to support women and men around the world who are ready to step into their light and connect to their higher selves. Chloe’s mission is to change our collective relationship to pain/discomfort by creating space for vulnerability, connection and truth, so that you can step into the work and energy that you are here to be in. `Doors open at 6pm and the event starts at 6.30pm. Do you ever feel like despite your marketing efforts you are not reaching your potential clients? Or that it’s hard to connect with your target audience and get them to actually purchase your products or services? If so, join our next Workshop by Pineapple Collective, a boutique multi-national consulting agency who helps natural health and wellness tell their story, who will teach us to map our customer journey to help us develop a marketing plan that actually works. The workshop will be led by Pineapple Collective founders Emma Andrews and Lynsey Walker who share over 10 years of experience working with emerging and established brands and retailers in the natural products industry. Lynsey and Emma bring a unique skillset and level of passion to their work, both holding designations in nutrition and food science. This December they'll publish their third annual Health and Wellness Trend Guide, and their insights have been sought out by media and associations like Natural Product Retailer Magazine, and New Hope Media. Emma Andrews is Pineapple Collective's Director of Education, a Registered Holistic Nutritionist and certified in New Product Development (NPDP). She's based in Vancouver, and works with clients on the creation of engaging and interactive learning experiences. Lynsey Walker is the Director of Content Marketing, a Registered Holistic Nutritionist, and holds her MSc in Human Nutrition. She's based in Toronto, and helps Pineapple Collective clients develop brand stories and content that resonates. We are repeating our September event since it was such a success! There is a lot to be said about the benefits of smaller group events, from deeper connections to valuable business feedback. 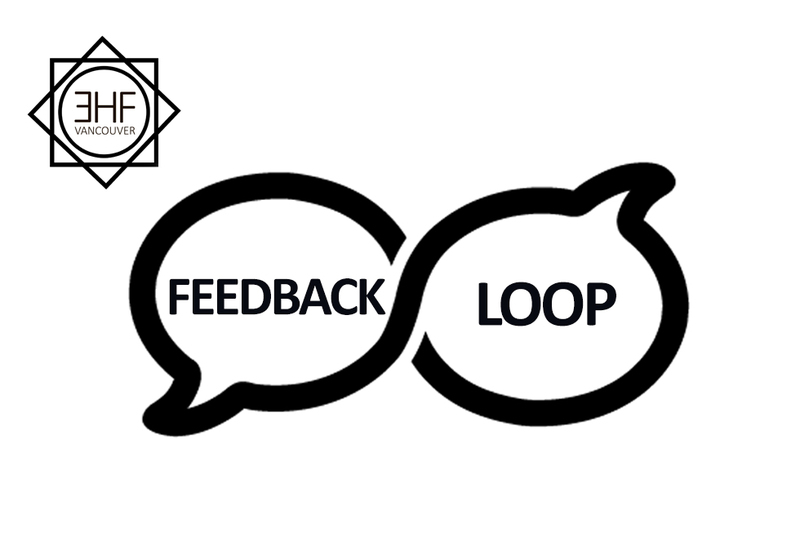 So make sure to join us for the next Networking & Feedback Night. There are only 12 spots available, so make sure to reserve your spot asap. Networking & Feedback Nights are a perfect opportunity to form strong relationships, to learn more about your and other businesses and to further progress in your growth. It's no secret... all of us are confused by the fast-evolving world of social media and web-savvy consumers. The days of working an 8-hour work day is the holy grail for many professionals, though very few ever achieve it. Instead, many of us find we need 13 to 16 hours a day to just ‘catch up’. Sound familiar? Do you wish there was a better way? Instead of simply trading dollars for hours, what if you could leverage online tools and an already captive audience to supplement your existing business? By attending this presentation you'll learn a variety of ideas and strategies to do just that. Helping to build an 8-figure fitness retail business along with 10-years of growing a global online personal brand, Dai Manuel offers a unique perspective on business today. A 20+ year career which can be marked as a published author, digital strategist, keynote speaker, lifestyle/performance coach, and award-winning blogger… but Dai’s favorite title to date is Dad of 2, and husband of 1, who is forever dating his wife. What should you expect from the seminar? Personal trainers, fitness instructors along with studio and club owners absolutely love what they do. However, seemingly endless hours of working in the business prevents them from looking at the business from the outside-in. We expect things to just ‘flow’ and our customers to ‘just get it’, from which business happens. But when things just don’t seem to happen the way they used to or how we expected it to go, we presume throwing dollars at marketing will help. Unfortunately, that doesn’t guarantee the result they’re after. Trust, authority, value add, and community are 4 key components necessary to help health-based brands gain the momentum necessary to go from doing ok to doing fantastic! Think about this for a second…imagine spending 25+ hours making a 30-minute sales presentation of your amazing products and services to 50 potential new clients or…spending 30 minutes presenting to 50 inspired prospects at the same time. This is the beauty of one-on-many vs. one-on-one. You are able to make a bigger impact in a shorter time, while building more credibility and growing your business significantly! Providing real world examples of what has worked and hasn’t worked along his path as a speaker, coach and facilitator, Dustin will deliver a fun and engaging presentation filled with insights and tools you can use immediately to grow your wellness business using workshops, seminars and speaking engagements. Hint, hint…even if you don’t ever want to “get on stage,” you can use the same techniques and strategies for webinars and online presentations! Dustin Hogan is a highly sought out speaker, trainer and coach who is the Founder of The Rock Star Academy - A transformational system of experiential events, coaching and accountability designed for seekers, dreamers and entrepreneurs who want to create transformation in all areas of life! Years spent DJing for crowds of 2000+, to building several successful passion-based businesses, to being highly influential with TEDx, Dustin’s unique background ensures he leaves audiences inspired and ready to take action! Over the last 2 years Dustin has made the speaking business his life! 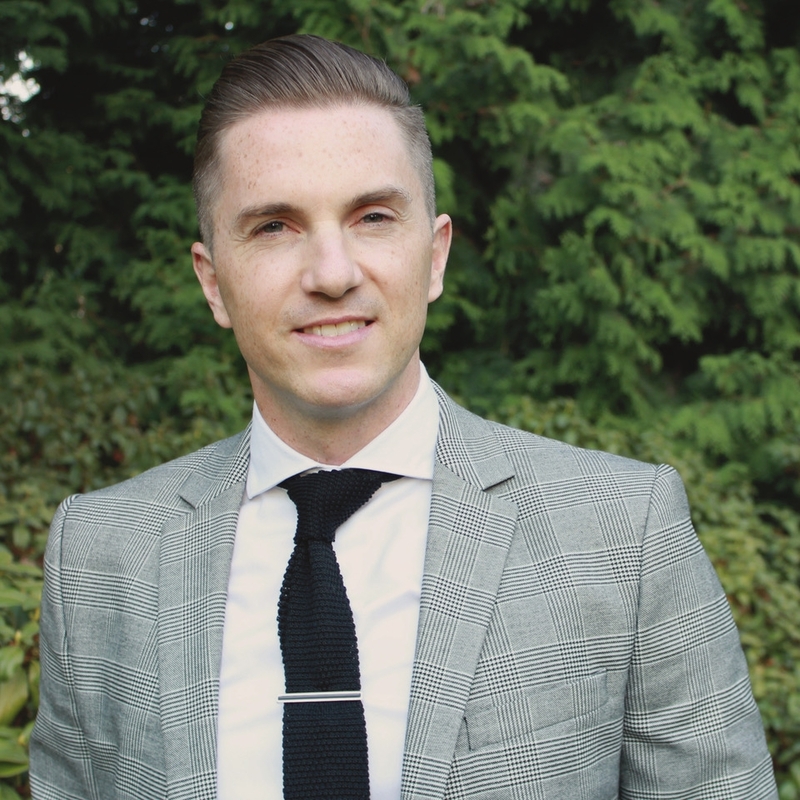 From running his own successful workshops and seminars, to speaking on other people’s stages, to coaching multiple speakers for TEDxStanleyPark, Dustin understands the ins and outs of using speaking to explode your business and your credibility! Join us for the first MORNING event at Chickpea restaurant with the speaker Andrew Coffey, the founder and the owner of The Hive Bouldering Gym. Who is working in wellness because they are passion about health? Exactly! All of us. It is never easy to turn one’s passionate into a business, but if you can make it happen, it is well worth it! During his talk, Andrew aims to share how he has turned his passion as an avid rock-climber and outdoor educator into a successful wellness business. He’ll explore some of the keys to his success, the most important lessons he’s learned, and a few invaluable suggestions on how to do the same, no matter what your passion is. After moving to Vancouver in 2006, Andrew recognized a need for a new style of climbing gym. Having a genuine love for the climbing community, Andrew worked for 3 years in developing the Hive Bouldering Gym, and in 2012 he was proud to share the realization of his vision for a community focused climbing facility with the Lower Mainland. Climbing, Education, Community and Health & Wellness are the central pillars of everything Andrew brings to the Hive. He now owns and operates two facilities, and he dreams to continue taking the Hive Climbing Community to new heights! We will have snacks and coffee. Please make note that it’s a new location and let’s be there on time! September is the perfect time for all of us to be on our A game. People are coming back from vacations and settling back into their routines, which means going back to their fitness coach, nutritionist, chiropractor etc. This is our time to shine, get new clients and launch new projects. For that reason this month’s Networking night is a chance for all of us to connect, get feedback on our business and gain confidence that we need. Unlike our normal networking nights, where we have a speaker share their experience, this time each one of us gets to share our knowledge and experience and get valuable feedback on our business. The evening will still play out as a normal networking night with plenty of time to connect with fellow wellness entrepreneurs, however, you will also get the chance to voice your business questions and get more personalized feedback from other entrepreneurs and business coaches. To keep the event more personal and make sure everyone has time to have their questions answered, we only have 16 spots available. So get your tickets soon and be prepared to share your journey and ask questions. For EHF’s 12th Networking Night we are doing things a little different! The August Networking Night will be a Q&A with an expert panel. So how does it work? We will have a panel of 3 Wellness Professionals - a personal trainer, a nutritionist, and a chiropractor. The topic of the evening will be clients. September is getting closer and that means more people will be getting back into their routines, signing up for fitness and nutrition classes, recovering from summer injuries, etc. It’s the perfect time to grow your clientele! The goal of the evening will be to answer all your questions about clients. How to find new ones, how to find the right ones, how to keep them, how to deliver the best service, and how to connect with them. Since earning his DC in 2008, Dr Almon has consulted and treated numerous professional and olympic-level sports teams & athletes, including the Chinese National Speed Skating Team, PGA Tour golfers, Alpine Ski Ontario, FIVB volleyball athletes, The Vancouver Canucks development program, Canadian Women's Soccer team, and professional sprint cyclists, to name a few. Dr. Almon practices out of his Gastown clinic MVMTLAB, where he treats athletes and the general active population alike. Ariana Fotinakis is a coach, writer, and triathlete living in Vancouver, Canada. After years of struggling with substance abuse and self-sabotaging behaviour, Ariana committed to turning her life around and is now dedicated to helping other women and men transform their own lives through her Evolution by Ariana training programs. When she’s not coaching, writing, or prepping for triathlons, Ariana can be found scouring the streets in search of great coffee. Erika Weissenborn is a local holistic nutritionist, and owner of Fresh in your Fridge - which provides in-home cooking services around the Lower Mainland. Erika has built a team of 11 holistic nutritionists since 2015, and a consistent and growing clientele for the business. She co-teaches Professional Practice at the Institute of Holistic Nutrition, and was voted #1 nutritionist in Vancouver in the "Best of Vancouver 2016." She loves combining nutrition and wellness, with business models that work! These 3 combined will have some truly valuable information to share so make sure to come prepared with questions! Join Kavisha Jega and Olivia Sari-Goerlach for an interactive workshop where they will teach you about how to take your Instagram to the next level! It’s so easy to get caught up comparing ourselves to all the beautiful images on instagram and feeling like our images are less than optimal. It’s also hard to know, when taking our photos, what angle looks best, how to get the right lighting, or even how to edit at the end. Luckily, Kavisha and Olivia have the experience and expertise to get you on track. The class will be divided into two portions. First with Kavisha teaching us how to optimize our instagram feeds and the second half will be learning how to take great shots with Olivia! Olivia Sari-Goerlach is a Photographer with a passion for capturing images, she specializes in portraiture, documentary and food photography along with food styling. Having a background in graphic design and photojournalism, it has influenced her photographic aesthetic and her creative direction. She has collaborated with various artists worldwide and loves to contribute her photography work to non-profits. OSG shares her work through social media platforms like Instagram, Facebook + Twitter which is very important for her business. Kavisha is a wellness educator working in social media marketing, content creation and recipe development for health and wellness businesses. She has a background in Marketing, a Masters Degree in Wellness, and an unhealthy obsession with Matcha. 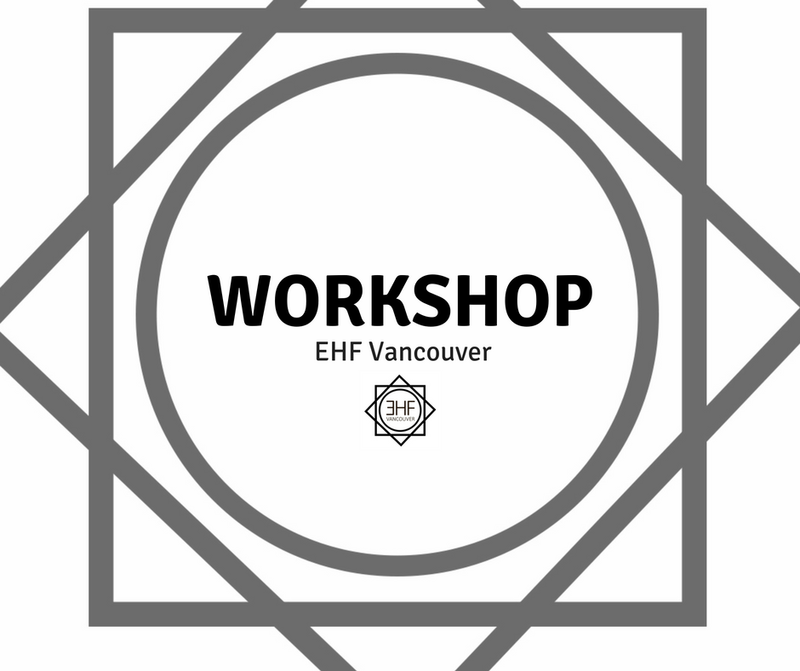 Join EHF’s 10th Networking Event with our featured speaker Faris Khalifeh, who is going to talk about how you can amplify your strengths as an introvert and grow your health and fitness business in an extroverted industry. Do you feel like your wellness business effectiveness is somehow hindered by your temperament? Do you feel pressured to go against your authentic self to get recognised? Do you feel overshadowed by your gregarious health and fitness competitors? Are you overlooked for business opportunities because of your quiet nature? A very high percentage of entrepreneurs are introverts, yet the business world often favour the extrovert, the outspoken, bold and assertive. This is especially true for those of us working in the health and fitness industry where high energy, outgoing personalities are in abundance. While many studies have shown that introverts make great entrepreneurs and leaders, it can feel difficult to lead in this often competitive industry of extroverts. In his talk Faris will illustrate how you don't have to be loud to be a great leader, and you can be impactful by being soft-spoken, quiet and gentle. This talk is for extroverts as well, as they can gain valuable insight into the introvert's world, allowing them to understand and work more effectively with their introverted clients and community. About the speaker: Faris is a Quiet Leadership Coach, named among the Top Six Life Coaches in Vancouver by Crowd Wellness. Before becoming a coach, he was engaged in the corporate world serving clients ranging from startups to Fortune 500 companies. His experience spans industries including education, hospitality, FMCG and automobiles. Faris serves on the Board of Directors for the International Coach Federation (ICF) and teaches at various institutions including Rhodes Wellness College and Spring Activator. He is the founder of Vancouver Quiet Leadership Meetup, which is one of the fastest growing and the only leadership group dedicated to introvert personality types in British Columbia. Is your website generating you leads? Does it serve a core purpose, or is it just sitting there? In this workshop we will guide you through ways to simplify your website’s UX design, set up customer touch points & reach your audience through your site. Pivot & Pilot Creative is a digital marketing agency in Gastown that specializes in branding, website design & video marketing. Founders Alejandro Quinteros, Rebecca Rochon and their team of designers, developers, videographers and marketing experts have worked with dozens of small, local businesses to give them the web presence they deserve. We go into wellness business because of our passion for people and for health, not for money. But without money we can’t run or grow our business. For this reason we’ve invited Annalea Krebs, the founder of Social Nature, for the 9th EHF Networking Event to talk about profits with purpose. From bootstrapping her first business and then selling it, to scaling up her second business with venture capital, local entrepreneur, Annalea Krebs has seen it all. In this talk she opens up about the highs and lows of running a mission based company, and shares what keeps her inspired to profit with purpose. Attendees will get some tangible tips for how to scale up a mission based business, lessons learned from running a mission based business, and how to stay motivated running a mission based business. Known as the “Queen of Green,” Annalea Krebs is a natural product expert and impact entrepreneur that loves promoting good stuff, not junk. Bit by the entrepreneurial bug at age 25, Annalea started ethicalDeal, an online ethical marketplace, which she sold at 30. A serial entrepreneur, Annalea then started Social Nature, an influencer marketing company that inspires people across North America to #trynatural products. Social Nature is now one of the largest communities of natural product enthusiasts, with a social reach of 150 Million consumers and growing everyday. Annalea was selected by Entrepreneur Magazine in 2016, as one of the top ‘25 Inspiring Entrepreneurs Under 40 Who Are Creating the Next Big Thing’, as well as by Conscious Company Magazine as one of ‘19 Social Entrepreneurs to Watch in 2017’. Annalea is often called on as a natural product expert and is a regular contributor to Canada’s #1 morning show, Breakfast Television, and Global News. You can also find Annalea’s thoughts on everything from fermentation to natural skincare on the pages of lifestyle websites like Byrdie.com, and her marketing expertise in publications like FoodNavigator.com and Grocery Business Magazine. When Annalea is not in the office she can be found in a local yoga studio or hiking in the beautiful mountains of British Columbia, Canada. Come explore health conscious local brands at EHF’s first Health Crawl! Multiple locations in Gastown, dozens of vendors, speakers, samples, photobooth, snacks, drinks and prizes. *Tickets are sold at the door. Any location, cash only. Remember when you were young and silly and did pub crawls? It’s similar to that, but at the Health Crawl, instead of drinking booze, we drink healthy juices and teas. Instead of listening to someone screaming into your ear, we listen to knowledgeable speakers talk about health. Instead of making random bar friends, we are creating business relationships with like-minded entrepreneurs. Instead of tasting all types of beers, we are tasting and getting to know all kinds of local wellness products. The Health Crawl is a one-day event that connects exceptional local health products and wellness businesses with those who are passionate about living a healthy lifestyle. We give vendors the opportunity to increase their exposure and build brand awareness, and we give the health-conscious crowd in Vancouver new products and services to fall in love with. 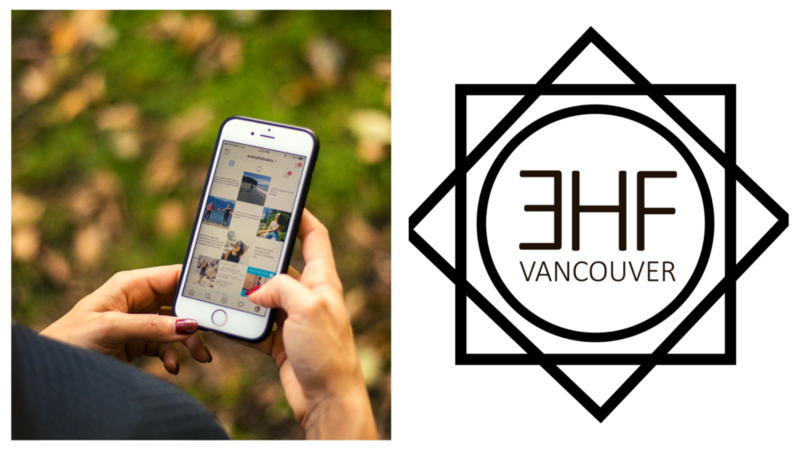 The Health Crawl is just another way the EHF group is connecting and building a stronger local wellness community and making Vancouver a healthier place to live. Any time after 10am you can start your Health Crawl, we recommend starting at MVMTLAB. You get a shot of a healthy drink when you first enter, a name tag and a swag bag (swag bags are for the first 50 attendees). You are free to roam around and get to know vendors and their products as well as other attendees. We will have multiple speakers, first one at MVMTLAB at 10.30am and the last one at 1.30pm (find schedule below). From MVMTLAB, at your own pace, we suggest you go to L’Atelier coworking space and then to Lorna Jane showroom to experience what else local wellness businesses have to offer to you and to listen to more speakers. At 3pm, Entrepreneurs in Health & Fitness and Health Crawl Vendors will be invited back to MVMTLAB for the exclusive afterparty (because what kind of health crawl would it be if there wasn't an afterparty?). Anyone who is passionate about health. 10am - Doors open at all three locations. 10.30-11.00am - Speaker 1: @MVMTLAB - Ruby Banipal "Cryo: A Cooler Way to Recover, Refresh and Rejuvenate"
12.30-13.00pm - Speaker 3: @Lorna Jane - Laura-Jean Anderson "Stressed or Depressed? Three Simple things to get out of Overwhelm and Feel Like Yourself Again." 13.30-14.00pm - Speaker 4: @MVMTLAB - Sebastian Baird Roberts "Optimal Nutrition Simplified"
3pm - End of the crawl, beginning of the afterparty for EHF community. Please note, there is limited space, so if you want to listen to a particular speaker, make sure you come early. Tickets are $10 online (at the door, cash only), + $10 for the afterparty for wellness entrepreneurs. Free for EHF Members. Afterparty tickets include snacks and drinks later in the afternoon. *Online registration is closed. Tickets are sold at the door. Any location, cash only. Please reserve you spot via e-mail info@ehfcommunity.com. Spots are limited. Crafting your "About" Page, and your "Elevator Pitch"
EHF MEMBERS - FREE access, book HERE. Through her career Emma's worked with brands like Navitas Naturals, Reflex Supplements, Vega, Silverhills Bakery, and One Degree Organics to develop their education strategy and brand story. She's witnessed how telling effective brand stories can be a catalyst to accelerate growth, build lasting relationships with strategic partners, create community connections, and brand champions for life. Known for her infectious energy, Emma has led hundreds of events for health and wellness consumers, influencers and natural products retailers across North America. Emma lives & works in Gastown, and when she's not training for marathons, she's getting dirty in her rooftop garden, or adapting recipes in her kitchen playground. 9am - 11am. Free of charge. Book HERE. How to build a brand that is authentic to you and your wellness business? That is the question Zach Berman and Ryan Slater will be answering during EHF’s 8th Networking event! Who has heard of The Juice Truck? Or better to ask, who hasn’t heard of The Juice Truck? Exactly, everyone has. That’s why Entrepreneurs in Health & Fitness Vancouver have invited Zach and Ryan, the founder of The Juice Truck, to share their knowledge and experience about building a brand. The Juice Truck was founded in 2011, by Zach Berman and Ryan Slater after a year long back-packing adventure through Nepal and India. Inspired by the mobile juice carts of India and the local superfoods nourishing the locals even at the highest of altitudes in the Himalayas, Zach and Ryan came home ready to launch Vancouver's first cold-pressed juice company! You can find The Juice Truck at the corner of Water and Abbott Street in Gastown and the Store at 28 West 5th Avenue, as well as your kind find their juice at over 30 retail partners across Vancouver and the Lower Mainland. What are the best marketing practices for a wellness business? How did The Juice Truck become such a well-known brand in Vancouver? What questions you need to ask yourself when building a brand? How to keep your brand authentic to you and your business? Join like-minded Vancouver entrepreneurs for the evening of connections, knowledge and fun! We will have snacks, networking games and door prizes. The location is MVMTLAB - 615-55 Water St, Buzz #615. Wellness Show Coffee Meet up! Stop by for a cup of coffee at 1 pm on Sunday at the Wellness Show. Let's meet at a cafe in the convention centre that you can't miss - Coal Harbour Cafe. Sunday afternoon is a good time to reflect and share about what we will learn during the Wellness Show. For any questions, call/text Nadya 6043697355. Despite popular belief....MORE customers does not always mean more money in your pocket. Most small businesses avoid their financials like the plague - taking an ignorance is bliss approach. If you haven't learned through experience yet - this will surely blow up in your face eventually. Why profit follows when you consistently look at your finances? What numbers you must be tracking and why? Bring that box of receipts you have been shying away from and any financials records or systems you currently use. There will be work space and each person will walk out with their financials more in place and clear next steps. Please reserve your spot by e-mail to info@ehfcommunity.com.